CBD or not, something tells me a company called Lord Jones does not make the kind of gumdrops you find on gingerbread houses. The ones that go from gummy to you-better-have-a-good-dentist-hard after, like, 5 minutes of air exposure. 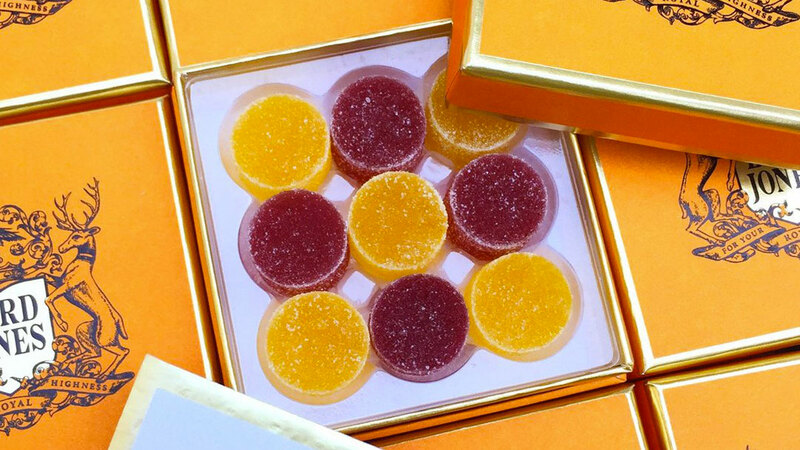 No, Lord Jones' gumdrops look more like jelly drops to me. Soft and supple on the bite, kind to the teeth on the chew. And even kinder to the rest of the body after you swallow. 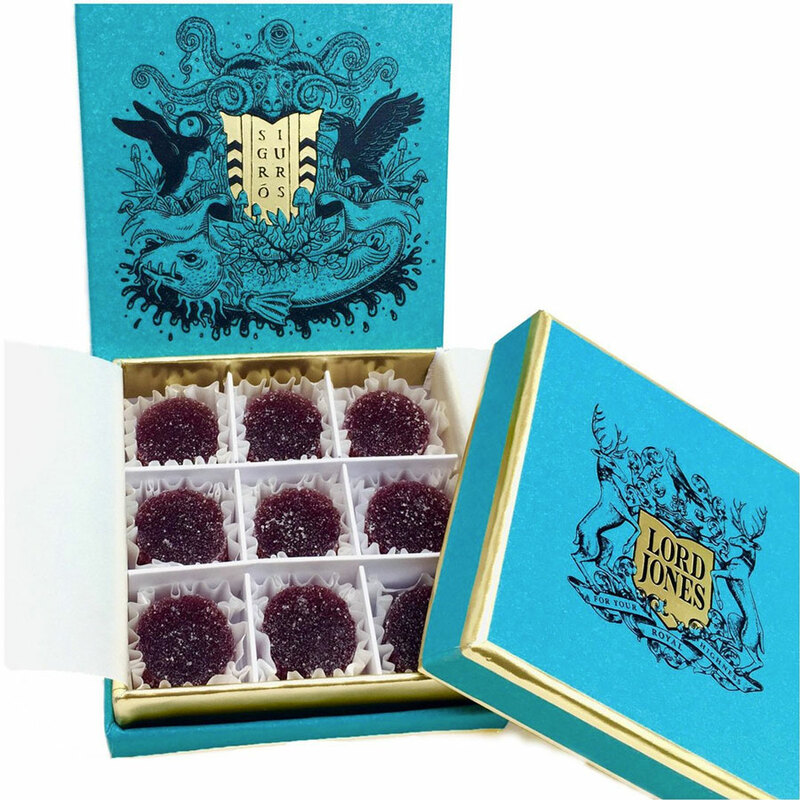 Lord Jones handmakes their CBD gumdrops in small batches from 5 ingredients: natural fruit flavors; gelatin; citric acid; sugar; and the C - B - Zip-a-dee-doo-dee. That last component is mixed in to the tune of 20mg per drop, a dose those who currently use CBD for pain and anxiety relief, or mood stabilization, will recognize as pretty hefty. If you prefer your CBD in oil form, or at least in a form that doesn't look like it came from the maniacal mind of Willy Wonka, check out this list of the best CBD oil websites for anxiety & pain.